Karyl is ready to help you with all your real estate needs using her 20+ years of real estate experience. 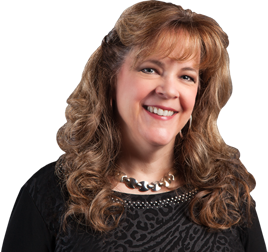 Karyl has been a real estate agent since 1995 serving the Camano Island and Stanwood areas. She was raised in this area and raised her own family in this same area, who even went to the same schools as Karyl did. An innate understanding of the area makes her an invaluable resource for those wanting to receive top dollar for their property or to create a strong marketing strategy to drive buyers to their listing. Throughout her career, she has prided herself on providing a memorable client care experience for her buyer and seller clients. Attention to detail, innovative marketing and great communication are the other cornerstones of her real estate business model. Her expertise has included residential real estate, waterfront, farm property, land, and many of the other specialty type of real estate seen in our area. In addition, she has made it a point to learn more about how housing affects the local area in terms of environmental impact and can educate buyers and homeowners on this if it is of concern to them. When you work with the Karyl, you get her expertise, enthusiasm and, most importantly, the results she brings to her business. This is why her clients keep coming back year after year and recommend their friends and family to work with her. This is the greatest compliment!